Twin Flame Energy Forecast Oct 29th-Nov 4th: "Higher Journey"
Lessons From The Divine Feminine… Healing In Focus. Taking A Higher Perspective To Reach Balance. Can You Spark Unconditional Love From The Inside Out? What if it was about *you* all along? But first, a reminder: If you’ve been struggling on your journey, do make sure you download and use my Free Energy Cleanse Audio that will clear out heaviness from your chakras and aura, and infuse you with new high vibration light! When I used to give one on one intuitive coaching sessions to Twin Flames I eventually realized there wasn’t enough time for one person to help all the thousands of Twins out there. I realized there must be a way to reach out and help more than just a few hundred a year – so I created this Free Pack of Downloads available to all Twin Flames! 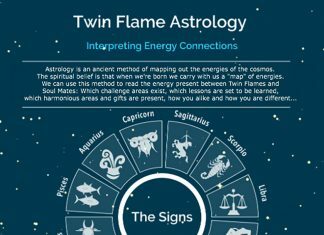 I’ve had Twin Flames email me from all over the world to tell me about their amazing experiences with these resources – including Runners getting in touch out of the blue after their Twin Flame cleared energy! The reason this happens is that all Twins share an energy field and everything we do or intend or feel impacts the other. One Twin shifting their energy impacts the dynamic in the pair! This week’s major lesson is reaching for balance. There’s a higher state available to you and you’re being asked to ground spiritual highs and inspiration into the physical. The same goes for your Twin situation – if there are imbalances, especially ones you’ve been unaware of, they’ll be brought to your attention now. There’s a lot going on behind the scenes. Things will run much more smoothly if you look at things from the other person’s point of view and consider their feelings this week. Have you forgotten to consider your counterpart’s perspective recently? What’s to THEIR highest good? What lessons do THEY need to learn? The great thing is your mind and heart are set to be more open and positive than usual. Jupiter and Mercury together mean your curiosity is sparked, and your higher perspective open – so make the most of it! Your ability to connect with the “divine” (including your own divinity) is also heightened, so make sure you spend some time pondering solutions, ideas, plans for the future. It’s set to pay off handsomely. Inspiration is set to flow more smoothly this week, and you’re likely to have spiritual insights and great ideas. With this boost, you’re also able to tap into positive manifestation more than usual – make the most of it! Focus on your highest ideal, what your situation would be like if all your wishes had come true. What would that feel like, look like? Let your mind float where it will. Don’t try to rein in your inquisitiveness. Allow yourself to be forgiving, to see the positives. And because you have extra manifestation power this period, make sure you use it for all it’s worth. Click here for a session where I take you step by step through it. All you need to do is bring your highest goals and I’ll help you bring them to fruition. You’re likely to feel optimistic about life now, and it means it’s an ideal time to put your enthusiasm and positive thinking to work to sort out any disputes that have been lurking in the background. Seeing the bigger picture enables you to place things in context and understand how to move on. And as Mercury moves into Sagittarius on the 31st, your increased open mindedness and tolerance moves you onward towards success and makes you highly persuasive. 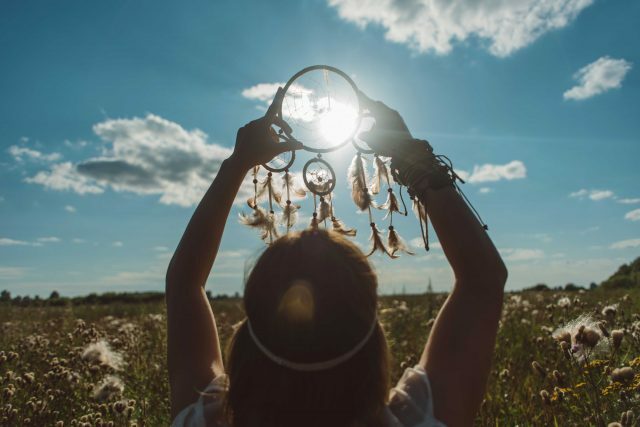 However, Sagittarius energies tend to crave freedom and aren’t among the most practical… So for best results, dream big now, then apply your dreams to physical reality when Mercury moves into Capricorn next month. Of course you can take action now, but if you use this current for dreaming and gathering inspiration, then the next for practical action – you’ll have the wind in your sails the whole way. 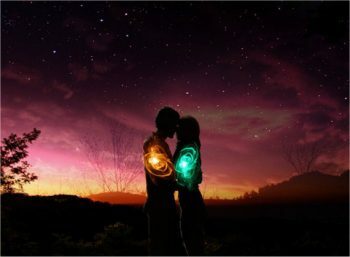 For a session where I show you simple yet powerful methods for manifesting Twin Flame reunion, click here. I also share with you the #1 Key why so many people’s desires never show up in real life, why so many wishes go unmet. It’s not because they don’t pray or want it enough! There’s a very specific alignment technique they’re unaware of – and therefore they’re sabotaging the very thing they’re asking for. With Venus approaching the end of her retrograde period, there have likely been major issues cropping up this last month. But there’s a lot up in the air for a few weeks more. Remember we’re in a purge period, a time where old wounds of the heart are being brought up as “phantoms” in new guises… So we can heal once and for all. So you can release past patterns and move into a brighter chapter once Venus goes direct in November. Or even re-igniting the flames with an ex. But be careful. You may have a change of heart once Venus turns direct in a couple of weeks. And sure, there’s nothing wrong with adding some excitement to your love life. In fact, it could be exactly what you need – so long as it’s the right sort of excitement. Be mindful you don’t dive headfirst into something you might regret later. Be a friend to yourself. Keep a cool head so you stay in your truth. Be aware. Selfish attitudes can rear their heads this period too – whether it’s us or others. It’s important right now to be honest with ourselves. An insight from spirit is that we might be shown the opposite perspective right now. Sometimes, yes, we might be the “villain” in the story. That’s human nature, we have both dark and light days and sides. Take an outside perspective on your situation. See both sides. And in fact that’s what Venus retrograde in Libra is trying to tell us – balance is when everyone wins. The highest good is what serves everyone involved somehow. Spirit is nudging me to give an example: I’ve had some noisy, party loving bachelor neighbors over the years. It frustrated me a lot, because it seemed “impossible” to solve. But a few years ago I had the realization the Universe and spirit would be quicker to deliver a solution if I could think of something that benefited everyone involved. So I asked the universe to bring the guy a girlfriend. A calming influence, yet something that would be happy for him too! And within a few weeks, it occurred. And after I moved earlier this year, the same thing happened again. And I made the request once more. After a few weeks, lo and behold, the partying settled… What was the reason? He got a girlfriend, just like I asked on his behalf! So, look at any frustrating situations you’re dealing with. How can you invite in a solution that benefits everyone involved, not just you? This can truly unlock your path to miracles! Enjoy, and do comment below with what you experience! Did You Inadvertently Hurt Someone? The ongoing Venus Retrograde of course also signals challenges and a purge/upgrade process for the Feminine – happening since early October. Venus Retrograde in Libra is asking – Where are *you* your own saboteur? Where are *YOU* the one blocking the union you say you want? Highlighted also this week is that you might have hurt someone’s feelings (likely your Twin’s) without realizing it. You might not have meant to hurt them but they could be hurt all the same. And spirit shows us – If things aren’t great… Could it be your Twin connection went haywire in the first place because of something *you* did or said? Even if it was directing negative emotions or fearing that your Twin would “run” or something to that effect? This can be a wake-up call for many. In order to move forward into harmony, it’s essential we admit and own up to our own negative impact on the connection. Apologize, ask for forgiveness so you can start afresh together energetically – to do so, use this session where spirit and I take you through it. The Higher Dimensional Anchoring And Awakening Session For Twin Flames. 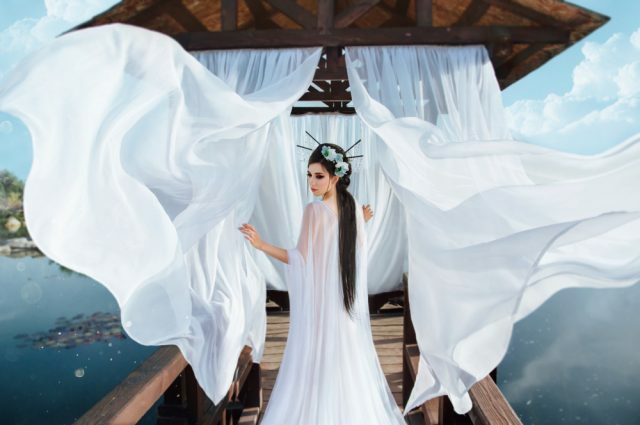 So many Twin Flames have reported back that this session brought dramatic positive, “real world” changes for their connection – Click here to learn more and download! It’ll be another 2 years before Venus goes retrograde again, so use this time wisely to get your “ducks in order” in love and relationships. Another thing to look into right now is your deeper beliefs about love and relationships. Write down what you really believe would happen in the future with your Twin. Where do you think you’ll be in a year’s time? If you have positive predictions and you feel good inside above all, congratulations! You’re in a good place. And in rare company. (Watch a video here on that). Click here for a project where I’ll take you through it step by step – and I make the “upgrades” fun along the way. If you do this for yourself… By the time Venus turns direct you’ll feel fresh, new and glowing with positivity for your love journey – attracting more harmony and appreciation back from your counterpart! On 1 November Jupiter makes a trine to Chiron. It’s a subtle combination, but one that will have a long lasting effect. And it’s all about being kind to yourself. When you feel yourself sinking into a “no-one loves me so I may as well give up on life” frame of mind, remind yourself that you can change things right now. YOU can choose to love yourself. Begin writing a list of everything you’re grateful for, and everything you enjoy doing, no matter how small. And know you’re here for a reason. You deserve love in your life, and you will get it in some form even if it isn’t around at the moment. Mercury goes “void off course” on 2nd November which indicates that communication and thinking will tend to take a strange turn. If things feel a bit unsettled moving into the weekend, don’t worry as it’s likely temporary. Things will calm down within Sunday and you’ll feel more in tune. In general, this is set to be a week in which you’ll benefit from different perspectives. Seeking balance, above all. What do you see? How can you, from that perspective, improve and uplift your Twin Flame connection? How can you make a positive change for the next chapter? 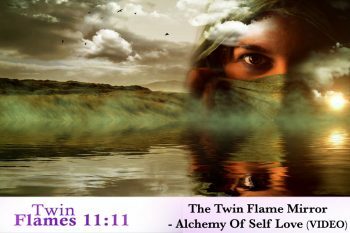 Next articleTwin Flame Gateway – Are You Aligning With Fear Or Love?